Are you struggling to write your college admission essays? Whether college or universities call them admission essays, personal essays, or personal statements; admission essays have become a more important part of the college admission process than ever before. Colleges and universities are being inundated with applications from highly qualified candidates, making it increasingly difficult for them to make admissions decisions solely based on objective criteria like grades or standardized-test scores. As a result, they are placing a greater emphasis on those parts of the admissions process that help humanize and differentiate applicants: the admissions essays and, for some schools, admissions interviews. While we cannot handle your admissions interviews, we can help you create wonderful personal statements that help you stand out from the competition and highlight why you would be an asset to a particular institution. Whether working with prompts provided by a college or on a blanket personal statement that is developed solely from your background, we will help you highlight your strengths so that you can showcase yourself for the colleges of your choosing. How do we do this? Well, if you have an unusual history, talent, or interest, we use that to show how you can provide diversity in an academic setting. However, the reality is that most of us are pretty similar. You do not have to show a college that you came from a horrible background or that you have some ground-breaking talent in order to highlight yourself as an asset. Instead, you can show how you use your own unique experiences, talents, and skills to cope with the everyday challenges that people face. Our writers can show you how to transform your history, skills, strengths, and weaknesses into a unique sales pitch aimed at showing admissions committees everything you bring to the table as a member of their academic community. Looking for college admission / application essay example? We have plenty you can view or download at no charge. Want a professionally written college admission essay? Place an order for our custom writing service which is available 24/7/365 including all major holidays. "College Admission Essay." Aceyourpaper.com. Student Network Resources Inc, 21 May. 2018. Web. 20 April 2019. Student Network Resources Inc. "College Admission Essay." Aceyourpaper.com. 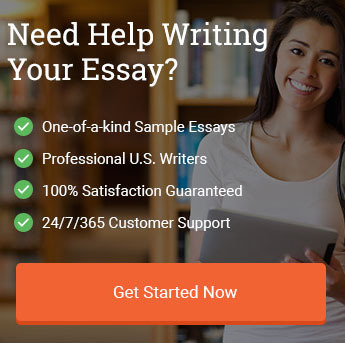 https://www.aceyourpaper.com/writing-services/college-admission-essay/ (accessed April 20, 2019). What is a Hero Essay? How do I gather up my thoughts and effectively write my college application essays?